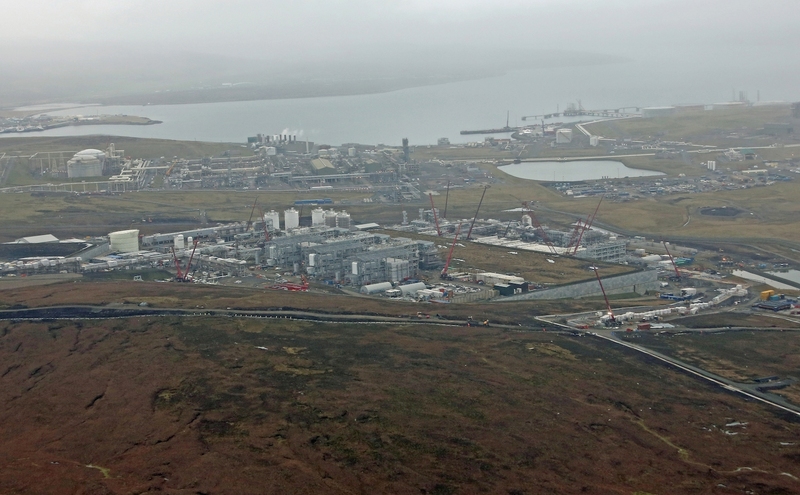 SPECULATION that French energy company Total is considering selling its 80 per cent stake in the Laggan-Tormore project is baffling industry observers. Last week news agency Reuters reported that Total hoped to sell its stake for a reported £1 billion. Neither Total nor Danish oil company Dong, which holds the remaining 20 per cent, have commented on the rumours. The project to unlock the vast gas fields to the west of Shetland has always been described as being of national importance. It includes a subsea production system, the massive Shetland Gas Plant as well as more than 200 miles of pipeline from the wells on the Continental Shelf, to the processing plant near Sullom Voe and on to St Fergus, near Peterhead. Currently estimated to be an investment of around £3.5 billion, the project is a year behind schedule. Total had originally hoped for first gas to flow in summer of last year, but this has now been pushed forward to later this year. Local sources even suggest that the plant will not be completed before 2016. According to Aberdeen based energy journalist Jeremy Cresswell putting the investment up for sale at a knock down price doesn’t make sense. “That the company might be offering the 80per cent interest in this pioneering gas-condensate project seems nuts, given the sheer cost of getting the development thus far and so near to first production”, he wrote in the Energy Voice supplement of the Press & Journal.